At pergolaplans4free.co.uk we are dedicated to protecting your data and privacy. We recognise that your privacy is important. This document outlines the types of personal information we receive and collect when you use pergolaplans4free.co.uk, as well as some of the steps we take to safeguard information. This will help you make an informed decision about sharing personal information with us. 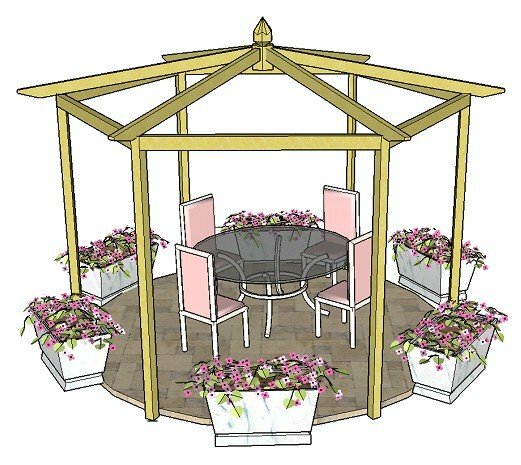 pergolaplans4free.co.uk strives to maintain the highest standards of decency, fairness and integrity in all our operations. Likewise, we are dedicated to protecting our customers' and online visitors' privacy on our website. A cookie is a string of information that pergolaplans4free.co.uk stores on your computer, which your browser provides to pergolaplans4free.co.uk each time you return to the site. pergolaplans4free.co.uk uses Google Analytics to analyse the use of this website. Google Analytics collects demographic and interest data, and generates statistical and other information about pergolaplans4free.co.uk use, by means of cookies. pergolaplans4free.co.uk uses information from Google Analytics to track the number of visits to the pergolaplans4free.co.uk browsers and operating systems. We use the information that Google Analytics generates relating to our website to create reports about how visitors use the site. These reports allow us to update the site and improve your usage of it. You may opt out of personalised ads. Click here to do that. These third-party advertisements are served by Google. Google's cookie enables it to serve ads to our visitors based on their visits to other sites on the Web. You may opt out of personalised ads by visiting the Google ad opt-out page. We receive an affiliate commission for some of the products/services recommended on pergolaplans4free.co.uk. The affiliate services platforms we use are Amazon, Affiliate Future, Webgains, Affiliate Window, Tradedoubler and ClickBank. If you choose to refuse pergolaplans4free.co.uk's cookies, you may not be able to fully experience the interactive features of the site. pergolaplans4free.co.uk may collect personally identifiable information from you in a variety of ways, including, but not limited to, when you visit our site, register on the site, or fill out a form, and in connection with other activities, services, features or resources we make available on our site. Specifically, if you subscribe to our newsletter, we will ask for your first name and will require your email address, in order to send out the newsletter to you personally. If you purchase a product or service from us, we will collect your name and email address. This information may be stored on a third-party's servers, namely, PayPal and eJunkie, in order to process your payment. 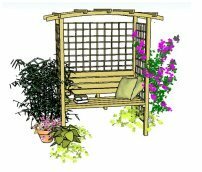 pergolaplans4free.co.uk contains links to other websites that may be of interest to you. However, once you have used them to leave our site, we do not have any control over that website. Therefore, we cannot be responsible for the protection and privacy of any information you provide while visiting such sites. These sites are not governed by this privacy statement. Always exercise caution in the unlikely event that you think there may be an issue by reviewing the privacy statement of the website in question, before continuing to use it. 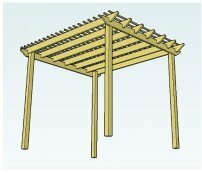 If we sell pergolaplans4free.co.uk, the information we have obtained from you through your voluntary participation in our site may transfer to the new owner as a part of the sale so that the service provided to you may continue. In that event, you will receive notice through our website of that change in control and practices, and we will make reasonable efforts to ensure that the purchaser honours any opt-out requests you might make. Some information is collected by third-party services. These include PayPal and eJunkie payment processors, used when purchasing products from the website.